Carmela Laurella operates the business as an investment banking firm. Her extraordinary advertising and marketing skills have elevated sales prices in every market of Boston. The synergistic manner of her team’s efforts adds strength to every listing and sale. She and her team of professionals have changed the way real estate is analyzed and sold. 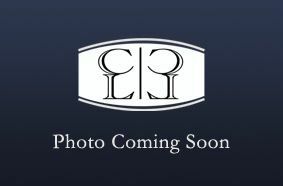 CL Properties is best known as a boutique luxury brokerage firm. President of CL Properties. In their 9th year of operation, CL Properties brokered approximately $700 Million of property. Ms. Laurella has sold over $1 Billion of real estate in the past 16 years. Due to Ms. Laurella’s efforts, CL Properties is the #1 listing and selling brokerage on the Waterfront. Top Realtor on the Waterfront/North End and ranked in the top 1% in Boston. Featured several times on ABC’s Chronicle for her presence on the Waterfront/North End. Featured articles and cover stories in Boston Magazine, Boston Common Magazine, The Wall Street Journal & The New York Times. Featured on NPR Radio and WGBH regarding Boston’s “luxury” real estate market. Founded and owned a premier Boston Real Estate Syndication Firm. Raised over $500 Million for syndicated real estate housing. Past Licensed Broker/Dealer and Member NASD, SIPC. Greater Boston Real Estate Board. North End/Waterfront Chamber of Commerce. The Friends of Christopher Columbus Park and Platinum Sponsor. The National Association of REALTORS® as a Crystal R. Investor. 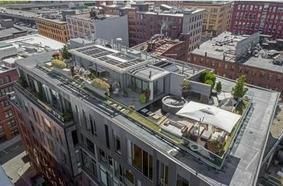 "There is no other Boston Waterfront real estate team that goes to the same extent of very actively marketing their listings than the CL Waterfront team. I’ve always been happy with the extra effort and state of the art marketing programs that she and her team deploy on the sellers behalf. Strong effort and regular updates to the seller. I would personally not list on the waterfront with anyone else." "Basically, anyone who uses any real estate firm other than Carmela Laurella’s Waterfront Properties is not serving their own interests very well! I have had Carmela market and sell two high-end Waterfront properties and each time she delivered beyond my wildest expectations, delivering record setting per square foot prices each time, with an air of professionalism unsurpassed. Carmela just delivers." 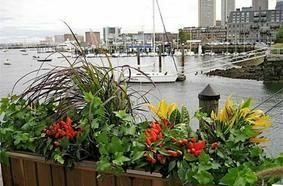 "Carmela Laurella clearly deserves her stellar reputation as the premier real estate agent on the Boston waterfront and the surrounding area. I bought a gorgeous waterfront condo with her help and, when I decided to move to Washington DC to join the Obama administration, she rented it for me quickly and profitably. When I decided to move to another area, Carmela then sold my condo for me at an excellent price in as difficult a market as we have seen in years. She is a delight to work with either from a seller's perspective or from a buyer's perspective. I can say that with confidence because I've been on both ends of that game. Carmela is simply the best." "Your high level of professionalism throughout this entire process was greatly appreciated. Together, you're quite a team! 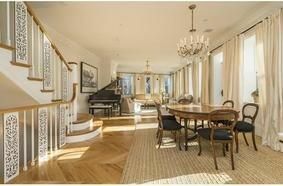 Take my word, if you're looking for a new home along Boston's Waterfront, in my opinion, the only choice is Carmela's CL Waterfront Properties." "I have had the past privilege of being represented by Carmela Laurella related to a Boston-area residential real estate transaction. I found Carmela to be extremely intelligent (as one might expect from a former investment banker) as well as especially resourceful, using her deep network to connect me with the highest quality professionals to help me navigate not only the transaction process but also a variety of essential post-transaction activities. Carmela is credible, honest and fair, and gives her clients a strong sense of being on their side. 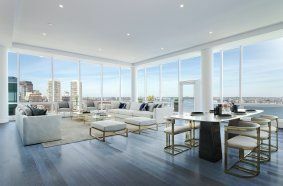 While Carmela has developed a very strong reputation as a Boston waterfront expert, I would wholeheartedly recommend Carmela and her team for any Boston-area high-end residential real estate project. She is refined, polished and possesses the interpersonal skills appropriate for dealing with high-end clients. 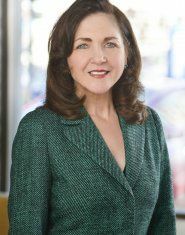 She has an obvious grasp of the requirements and concerns of potential buyers and sellers, and I wouldn’t hesitate to work with her again the next time I may be involved in a residential real estate transaction."